Simple yet classic, the standard design of the Style 11 frame ascribes to the idea that less is more. Clean lines and an eased back face make this style a favorite for prints, photographs, and posters. 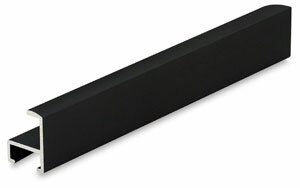 Available in even inch increments from 6" to 42" (15 cm to 107 cm).